KW Plastics has been a pioneer in the plastics recycling industry since its establishment in 1981. When piles of excess plastics were growing in landfills, owners Kenny Campbell and Wiley Sanders were working to turn those piles into marketable recycled plastic products such as plastic sheets . The piles diminished nationwide as KW Plastics recycling plant was established in Troy, Alabama. 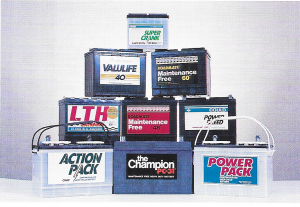 KW Plastics began processing used automotive battery casings into polypropylene (PP) resin. The demand for polypropylene grew as manufacturers saw the advantages of using the durable, recycled resin in making quality recycled plastic products. As large raw material suppliers on the west coast began needing easier access to KW Plastics’ resin, a new plastic recycling plant in Bakersfield, California opened in 1986. Meanwhile, we worked to research and perfect the recycling process. On-site labs were packed with state-of-the-art equipment and innovative technology that ensured our products survived the highest quality control testing. Our owners knew that investing in great labs with the right people and the right equipment was necessary for sustaining a quality recycled plastic product. KW Plastics worked with several west coast manufacturers in the late 1980s to meet their injection molding needs. Plastic scrap would come in and a new recycled plastic product would leave, allowing our plant to be the first end-to-end plastic recycling plant in the plastics recycling industry. After capitalizing on the polypropylene market, we looked at what other types of plastics were available for recycling. High-density polyethylene was seen as a natural fit because of its similar properties to the polypropylene already being recycled. 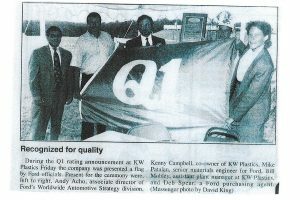 KW Plastics Recycling Division opened in 1993 across the street from KW’s headquarters to recycle post-consumer high-density polyethylene (HDPE). Bales of scrap material poured into our plastic recycling plant as communities and businesses began to realize the financial and environmental benefits of sorting and selling recycled materials. 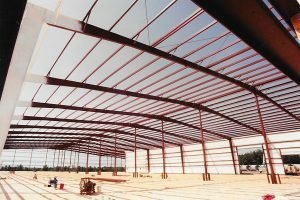 We maximized storage and advanced processing to accommodate different materials. In 1994, we were the first recycler to be awarded Ford’s Q1 Excellence in Supplier award, affirming what we already knew to be true – our recycled plastic product was not only versatile, it was exceeding expectations. In 1998, we entered the packaging industry by introducing a one-gallon paint can made from recyclable materials. KW Container was established as an injection company that molded 100% recycled and 100% recyclable paint containers. In 2016, KW Container launched TruSnap – a paint can made from 100% recycled plastic and our proprietary resin. Today, KW Plastics is the world’s largest plastics recycler and post-consumer resin supplier for HDPE and PP. Our customers include some of the world’s largest brand owners and we continue to reinvest into our capacities, markets, and innovations. The recycling industry hasn’t always been widely accepted. We have worked hard to destroy the poor image created by early recyclers that paid little attention to quality control, contamination, and durability of their products. Our success validates that our proprietary recycled resins are the solution for brands that want to provide environmentally responsive, high-quality, and sustainable packaging and products.